Schiz-X: Diário de um Esquizofrênico: Stigma: Brazilian brewery Skol offends schizophrenics on national television. 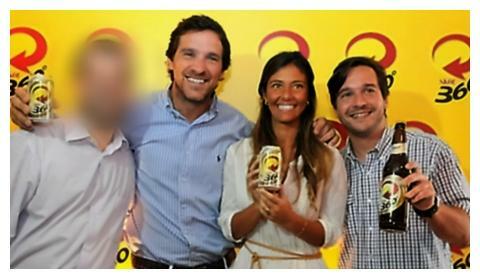 Stigma: Brazilian brewery Skol offends schizophrenics on national television. In his new advertisement “Diseases”, 30-second ad serving in the Brazilian broadcast television, the brewery “Skol” of the large company Ambev, commits serious social stigma against schizophrenics. In the ad, which purports to show “typical summer diseases”, is made puns with names of real diseases. In one scene, the narrator announces: “Skolzophrenia” and then comes a guy with half a face with a beard, the other does not, and where it says: “‘re mad, madman?”, among other things. “Skolzophrenia” is a clear reference to “Schizophrenia”, but the creative team makes the common mistake of confusing “Schizophrenia” with “Dissociative identity disorder”, disorder occur where the multiple personalities, unlike “Schizophrenia”. If the creative team had done a brief consultation on Wikipedia, would read in Brazilian Portuguese that “Despite the etymology of the term, schizophrenia does not imply a splitting of the ego or multiple personality disorder (now known as dissociative identity disorder), a condition with which it is often confused in public perception.” besides “According to WHO affects about 1% (the world’s population), and is more common in third world countries.”. Yeah, Skol is offending a “minority” of nearly two million people, only in Brazil. And the advertisement goes further. In a scene just half a second, which raise suspicions of subliminal advertising, shows an individual yanking the bikini upper part of a woman, with her mouth and in public, while the narrator says “Skolzophrenia.” It is obvious that the woman is a victim of sexual violence, as beyond the expression of his face, she hides in one hand her bare breasts, and the other tries to pull the bikini that is at the mouth of the individual. Subliminal advertising? Incentive to sexual violence? AmBev, group company Anheuser-Busch InBev, has in its portfolio, international brands of beer, such as Budweiser, Franziskaner Weissbier, Hoegaarden, Leffe, Quilmes and Stella Artois, beyond the Brazilian brands Antarctica, Bohemia, Skol and Brahma, among others. The creation of the advertisement is from a group of award-winning advertisers: Eduardo Lima, Pedro Prado e Rodrigo Castellari, of the agency “F/Nazca Saatchi & Saatchi”. The “Head of Art”, function on which one should, among other things, analyze whether there is any content in the ad that can be seen as cause for prejudice, is João Linneu. The video ad on Youtube, already had over a million views (12/25/2012 7:00pm), and such advertisement will be the main brand communication until the carnival. Finally, do the following question: If the stigma was against an “african descendant” or a “person of homosexual orientation,” instead of a “mental patient”, public opinion would also be so tolerant? This is the silent scream of a schizophrenic, against a large company. 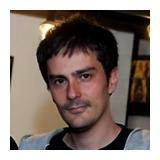 João Linneu, “Head of Art” responsible for the advertisement. 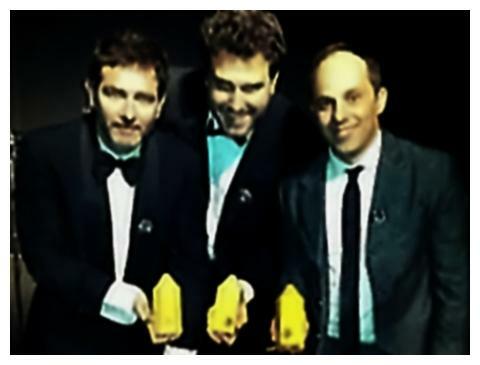 Eduardo Lima, Pedro Prado and Rodrigo Castellari, creation team of the advertisement, in delivery of international award in London. Jorge Mastroizi, Maria Fernanda Albuquerque and Pedro Earp, Ambev executives responsible for approving the advertisement.